The state of Mississippi’s plans to spend a half-billion federal dollars to expand a storm-torn port, was recently delivered a potential blow by angry low-income residents demanding the rebuilding of their homes lost in Hurricane Katrina instead. “It is unfortunate that money earmarked for the recovery victims of Hurricane Katrina is now being taken away for the purpose of business development” said Derrick Johnson, State President of Mississippi NAACP. Along with the Gulf Coast Fait Housing Center, the lawsuit was filed in federal court in Washington, D.C. against the U.S. Department of Housing and Urban Development (HUD). The plaintiff’s are challenging that the agency’s approval of a plan submitted by the state to re-route $600 million of federal hurricane recovery funds designated for affordable housing to bankroll the expansion of the Port of Gulfport is not lawful. “This is in essence creating another disaster, only it’s man-made. It’s unconscionable that HUD would approve a plan that neglects tax-paying citizen”, said James Crowell, a member of the NAACP National Board of Director and a Katrina survivor. Katrina slammed Mississippi’s coast three years ago, wiping some towns off of the map. 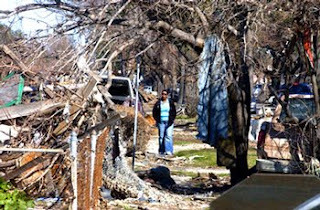 To date nearly 6,000 families remain in temporary shelters, with over fifty percent of those residing in FEMA trailers. The shaky economy has caused housing rates and insurance costs to escalate in the state as well. That has forced many, like Sabrina Wallace, to move to other cities such as Houston.